As we come upon the 50th anniversary of Judy’s passing, one look at the books, plays, and documentaries about her life reveals a certain pattern: primarily written and produced by men. Her life was surrounded by men. Women of "Grandma Got Runover"
Why is America so divided and how did we get here? 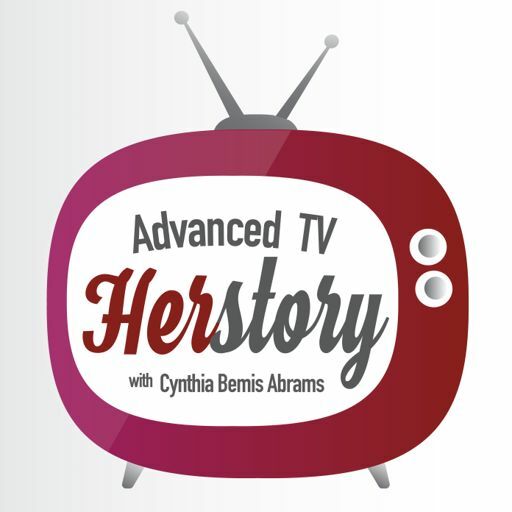 Cynthia probes that question from a TV Herstoric perspective. TV's Single Women Caregivers and Gimme A Break! Storyteller extraordinaire, showrunner & human being Shonda Rhimes dropped a lot of leadership & life in her 2015 book Year of Yes. What's with reboots & refashioning movies and TV series of the 70s, 80s & 90s? Will audiences expect reboots to surpass the originals? Interview with Karen Romanko, author of Television's Female Spies and Crimefighters is a fun walk through 50 years of series and characters. American TV storytelling sometimes struggles with a good New Years plot. Novelist April Smith got her start telling stories on TV for award winning shows like Lou Grant, Cagney & Lacey and Chicago Hope. Barbara Walters, Lesley Stahl & Connie Chung are the women who reported on the Watergate Scandal for the national news networks. A podcast about Girlfriends (2000-8)! UPN's strong line up of African-American centric programming in the late 90s & 00s. For more than 45 years, ventriloquist Shari Lewis (1933-1998) educated and entertained audiences on TV. Sherri Finkbine - Arizona market Romper Room "teacher"
Bewitched's Holiday Ep "Sisters at Heart"
Memories of teachers good and scary. Quite a highlight reel w/ extra attention to extraordinary performances, positive messaging & quirky style. What I’ve learned in producing these segments. Struck by what I don’t find, in conducting research. 15th & final season of NBC's ER brought the accomplished Angela Bassett to lead the ensemble cast. Murphy Brown & creator Diane English - Season 4, unplanned pregnancy. Colleen Dewhurst as Murphy's mother Avery Brown. Anita Hill became a household name in an instant. Nationally televised hearings were booster rockets for C-SPAN. Performances by 6 women, all available on YouTube. "It was like Nixon going to China." Season 4 of Designing Women. Lucy left this world as a bit of a mystery. She left so much unexplained, kept wisdom to herself (or at least kept it closely held). Perhaps finest 90 minutes of video ever. Big concert mishaps from the past. On-stage leadership, simply Supreme. The crowd, the exit, the concert the next day. Where were the lawyers? Children's television as generational identifier; Bubbles, Blossom & Buttercup - traits and voice talent behind them. King emerges as "Mother Freedom"
Sports Night - time capsule show during cable news' heyday & early days of the internet. Five generations of American women have been depicted in TV. Five generations of women have been influenced by impressions of other women they've seen on TV.